How is the proliferation of tall buildings in Edmonton affecting training and planning by Edmonton Fire Rescue? Edmonton's skyline has changed dramatically in the last few years. With the new Stantec Tower rising more than 225 meters in height, Edmonton will have its first skyscraper and the tallest building in Western Canada. How is the proliferation of tall buildings affecting training and planning by Edmonton Fire Rescue? That's the question that Chris Chang-Yen Phillips and Susan Padget explored in Episode 26 of Let's Find Out, a monthly podcast about Edmonton, Alberta – aka Amiskwaciwâskahikan – on Treaty Six territory. Each episode, host Chris Chang-Yen Phillips takes questions from curious Edmontonians about local history and works with them to find out the answers. "I was just wondering with all the new buildings that we're getting, how does this affect the fire department if there's a building fire at 60 stories in the air?" Susan asked. "What should I do if I'm in one and what does the fire department do differently?" 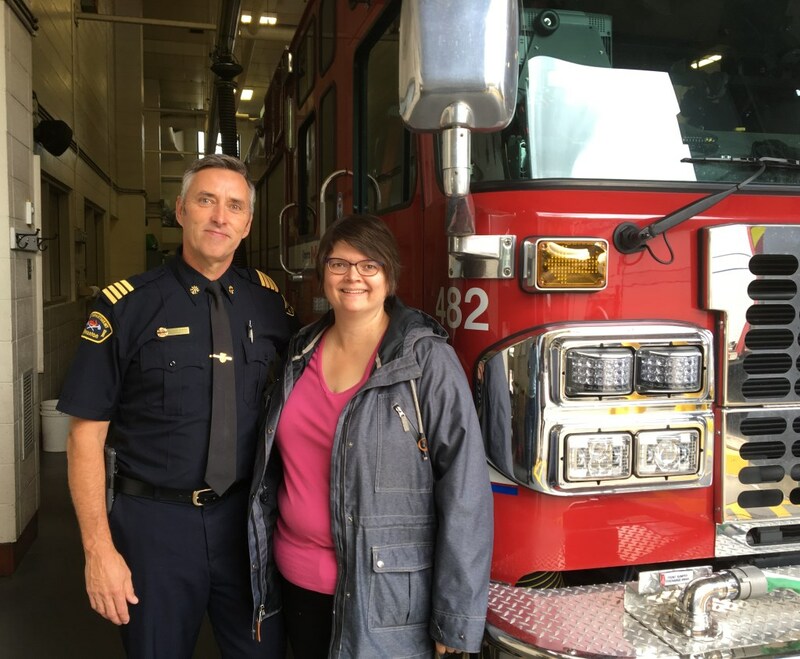 Figuring out the answer meant a trip to Edmonton's Fire Station 1 to talk with Dave Oldham, Chief Training Officer for Edmonton Fire Rescue Services. "One of the problems is getting our people and water up to that level," he said. "We purchased new two-stage pumps to help get the water up that high." Taproot Edmonton is proud to commission this episode, the second in a series of collaborations with Let's Find Out. Get prepared! If you live in a high rise, be sure to read and become familiar with the building's fire safety plan. If you live in your own home, make sure you have a fire safety plan. During a fire emergency, never attempt to leave a building by an elevator. Use the exit stairwells instead. Always close, but don't lock, all doors behind you when you're an exiting an area. This story started as a question that Taproot member Susan Padget seeded in our Story Garden. If you have a question about how or why something happens in Edmonton, or you would like to see what others are curious about, join Taproot. You’ll help us put another story like this into the world. Photos by Chris Chang-Yen Phillips.